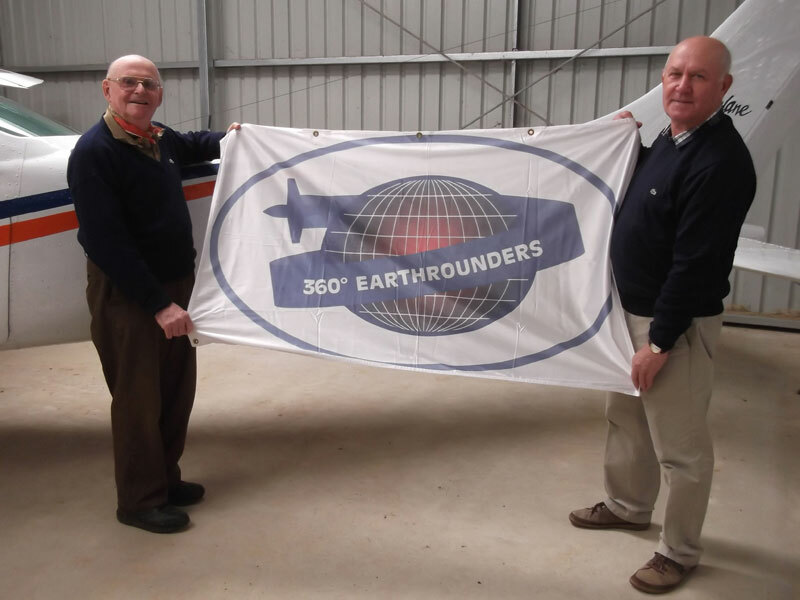 in preparation for the next Earthrounders meeting in Russia in 2014. Northam (Western Australia) 28 September 2012. 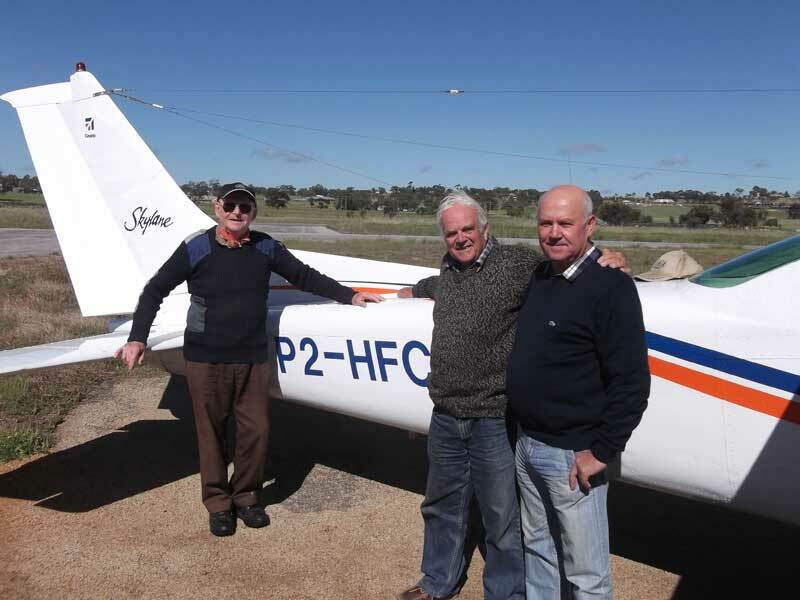 Left to right: Claude Meunier, P2-HFC (Bob Bates' C182 from new Guinea), Bob Bates, Sergey Terekhin. Northam (Western Australia), 28 September 2012.